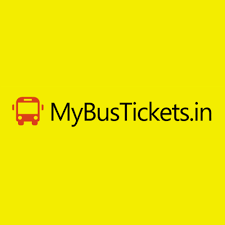 MyBusTickets offers the best deals on online bus booking to various cities in India. You can book your bus tickets via its website or user-friendly mobile app. Visit various destinations and explore the city by saving cost while traveling through bus. MyBusTickets offers up to Rs. 50 cashback on transactions done by the Freecharge wallet. No coupon code is required to grab this deal and save your valuable money. Limited Offer! Save flat 10% cashback on MyBusTickets using Mobikwik wallet. Grab up to Rs. 200 maximum cashback. No need to use any coupon code to avail the deal. Book Now! Grab up to Rs. 300 discount on your bus booking through MyBusTickets. Get this fabulous deal without using any coupon code and save hard earned money. Limited Offer! Save flat Rs. 75 discount and flat Rs. 75 cashback on minimum ticket cost Rs. 600 by MyBusTickets. Just apply the promo code to avail the offer. Offer valid for limited time only! Travel between Bangalore, Delhi, Dehradun and all other cities & town of India and save Rs. 600 off on your bus tickets. Utilize a MyBusTickets discounted coupon code to get this deal. Book Now! Sign up today with MyBusTickets and get up to Rs. 100 cashback on your sign up. enter the given coupon code to avail the discounted offer. Hurry Up!! Book your bus ticket through MyBusTickets and get flat 20% off on your booking. Also, pay through your Mobikwik wallet for your reservations and get extra Super cashback of Rs. 200. Hurry Up! !